Losing weight becomes so much easier when you aren’t feeling hungry all the time. That’s exactly why we designed our hunger-crushing meal replacement IdealShake and snack bar IdealBars! 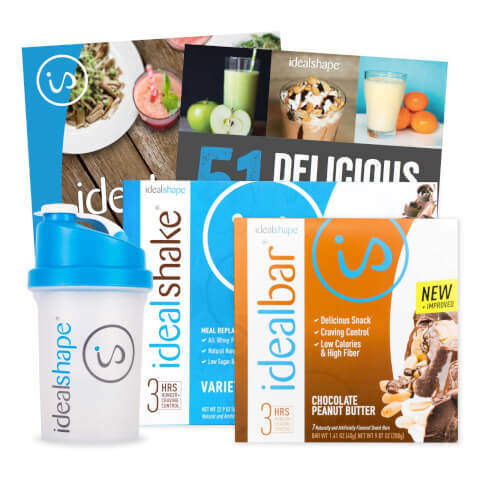 With this special offer you can try 5 of our most popular IdealShake Flavors (for a total of 20 meal packs), score a box of our snack bar IdealBar (any flavor), and get our IdealPlan and Smoothie Recipes eBook, designed with customized meal plans and delicious recipes to maximize your weight loss results!